One of the most compelling parts of interactive entertainment is that it is, well, interactive. While this plays out in obvious forms from within the fast-paced environments of first person shooters, atop shifting structures in precarious platformers and in many other ways that involve direct impact, it is the ability to interact with stories that often shines the light brightest on what the medium is all about. Well, creating a compelling story for players to interact with is exactly the goal of STARDROP - a solo developer's passion project that evolved into a story-driven adventure coming to Steam. 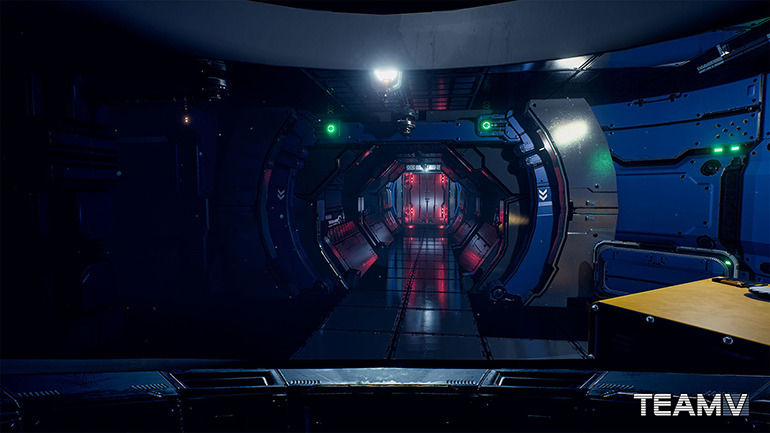 The game is being built by a small team with Unreal Engine 4 and it invites players to explore old derelict spaceships in the main game while being able to visit a range of locations across the universe through a number of side missions. But how does the game stand out from the crowd and what will players actually experience when they dive into its world (and story) of STARDROP? Also, how can players interested in supporting the game’s development via Kickstarter actually impact the story? 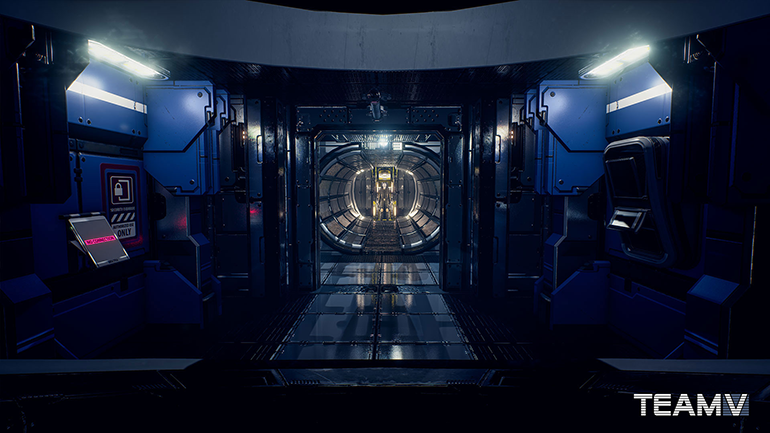 We recently caught up with the game’s creator, Joure Visser, to discuss the atmospheric nature of the narrative-driven project. Q: What can you tell us about the game’s story and the day-to-day lives of the lead characters Aryn Vance and John Kindly? 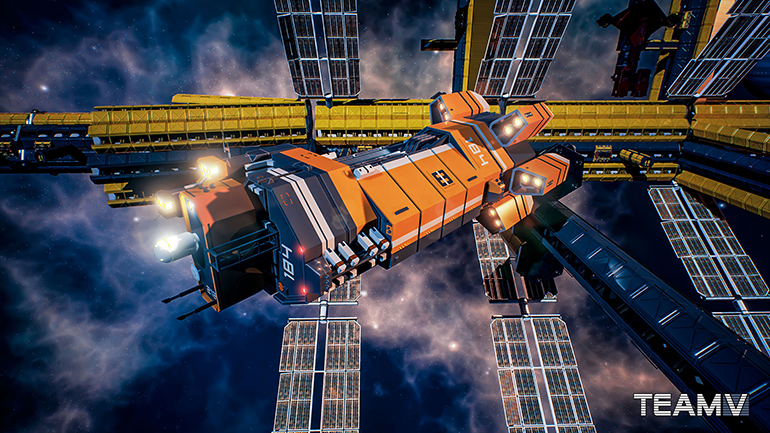 JV: The story of STARDROP is a mix between good fun and the thrill of exploring unknown ships and other structures. I've taken a very straightforward approach while keeping a large focus on character driven aspects. There's a mystery at its core but it's not about that. It wasn't that long ago when people were still pioneering the galaxy and while that's still a thing, commerce has been replacing that aspect of space travel more and more. It’s this shift that is still happening within the story and that overlap is what is central to some of the characters within the game. The motivation of Aryn for being a Salvage and Rescue Operative is very personal and her concern is not just about these ships, but more about the people instead. Who they were and what has happened - discovering that is what drives her. If there's anything she can do to help she will and because of that devotion she's usually out there on a mission and barely at home. John is pretty much the same but not as outspoken about it. He met Aryn when they were both still studying and they've been friends ever since. John's the bigger oddball of the two but they make a great team. After they became partners and set up their business that's pretty much what they've been doing. Any down time they have is usually spent in solitary while recovering from some of the stress brought on by their job. Q: It seems that each ship you explore will contain its own mystery and feature contextual elements that help unfold the story. Can you discuss the work involved in creating this level of detail and atmosphere? JV: The game can be split into two parts. The main campaign and the SRO side missions. During the main campaign you'll get to explore two ships. A smaller dropship (SD-01) and the large "STARDROP" science vessel itself. The mystery starts with the SD-01 and will carry over into the STARDROP. As one question is answered another one will replace it all the way up until the end. I started with a simple premise and over time these ideas were expanded upon. Because of this I have a very organic approach to how I design the game. I often sit and think about a certain story element and ask myself simple questions. For instance, I have to come up with the crew and I will try to give as many as possible a time to shine, so to speak. Who is this person? What are their quirks? What are their personalities like? Thinking through this is what drives certain situations forward. On top of that, a lot of them know each other so you get to play around with the social aspects as well. Then you have to put all these people into the main events that have taken place at that time. It's incredibly challenging but also a lot of fun. The ships themselves have to be treated as characters as well. And each ship has its own characteristics. It takes time to expand upon initial designs and having to keep iterating on them until everything falls into place. Q: Like some other great interactive entertainment experiences in recent memory, STARDROP seems clearly focused on providing a narrative-driven experience rather than being about action. Why did you choose this route? JV: The funny thing about this is that I was playing Alien Isolation at the time. I loved it but I kept wanting to explore without having to be stressed about the Alien all the time. It didn't bother me at all while playing, but it just sat there at the back of my head. Then I started to think about my daughter. I wanted to create a game that meant something. Not just to her but to people in general. Something that was fun, had a feel good aspect to it while still dealing with some emotional issues without going overboard. After a while the main story started to form inside my head and very early on in production I knew exactly what I wanted to achieve. Another aspect is that I just wanted to play games that didn't have me point a gun at someone or something. I love shooters and play them all the time, but I haven't seen a game that did the things the way I had them in my head. Certainly not a Sci-Fi game. Q: How vast is the explorable area of the game? 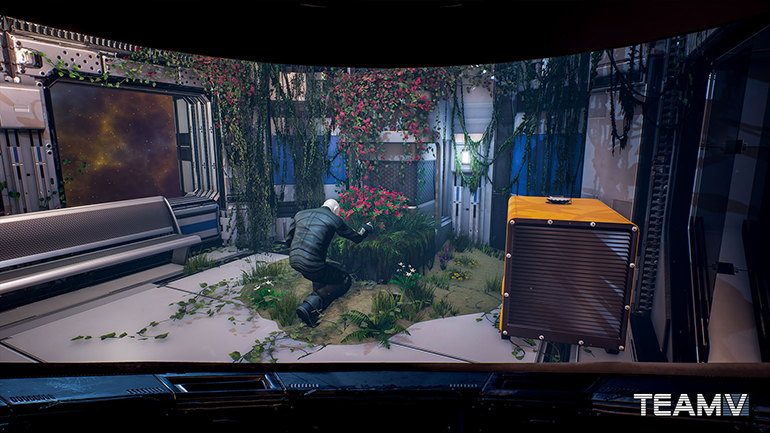 JV: The player will be able to visit a number of unique locations throughout the game. These locations will vary in size and scope. 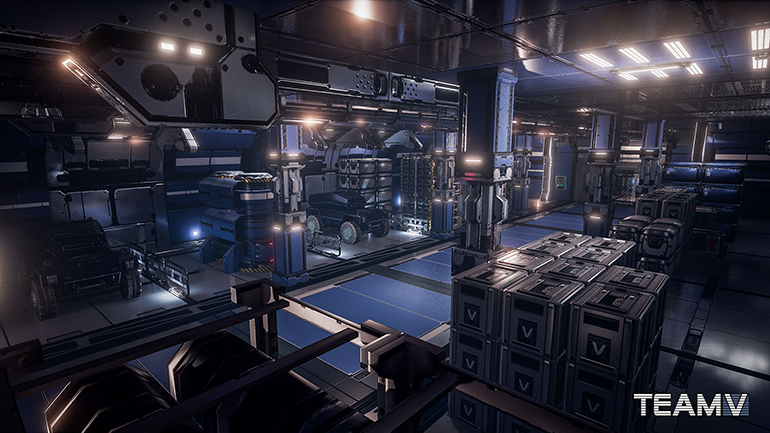 While each level within a ship or other structure is interconnected as a whole, each area can also stand on its own. This enables me to design each area with its own theme and a reason for its existence. All of the levels combined makes up for quite a vast place to explore. Q: Some unique ways in which the player interacts with the environment is through the APD helmet and Datapads. Please explain what these tools do and why they are a vital part of the player experience. JV: I started the game out with the narrative aspect in mind, but already knew that this is in fact a video game. As a result, I didn't want people to simply roam around these ships with nothing to do besides experiencing the story and reading up on logs and emails. I wanted players to have fun and to have interesting things to do as well. That's when I started to design the APD (All Purpose Design) suit and helmet with a range of simple but helpful functions to give the player something to do while enabling me to further design gameplay mechanics. One of the trickier parts was designing systems that would stay in line with the idea of exploration while not making the game overly difficult. You never die in the game, but I also did not want to turn it into a heavy puzzle experience either. To me, what's important is interaction within the world and having fun doing that. Aryns main APD helmet function, the Object Scanner, enables her to easily scan her surroundings to give her hints or tell her what she can interact with. It will also make her aware of security cameras and other objects that she needs to be aware of. The good old flashlight is something that is hard to replace. Even this far into the future a simple light goes a very long way. Aryn has her own DataPad where she receives objective updates from John. She is also able to collect DataPads from crew members and other characters throughout the game which can offer her more insight into some of the backstories. Other DataPads might contain vital information in order to progress containing a keycode or directions. Q: Did you decide on the look of Stardrop right away or did you have to go through several iterations before landing on the presentation style? JV: One of the most challenging parts to me as an indie developer was forming a team. Because of the narrative aspect of the game I felt that the voice actors had to be part of the core team. I also took into account the fact that STARDROP is rather niche. Luckily, we're in a time where every type of game is able to find an audience, but I still had to be realistic about that. Therefore I had to be very cautious about how big the team should be. I did not want to end up in a position where I could not reward the team members fairly so I had to opt out of certain roles and positions that most developers have filled. This meant that I have no dedicated concept designer on-board. Another aspect is finding artists that are willing to take a risk with an unknown team working on their first game. Luckily, I managed to find two skilled artists that have been working with me part time while being able to acquire some assets from the Marketplace and retooling/tweaking them to create a unified look and feel using custom materials and creating or editing textures. I also take inspiration from as many art forms as possible including movies, comics, games and even music. Q: Why did you choose Unreal Engine 4 for this project? JV: I started out as a modder using the Source Engine but the more I heard about Unreal Engine 4 the more I felt that I had to move on. Being able to design levels with lighting preview in real-time was something that allured me a great deal. 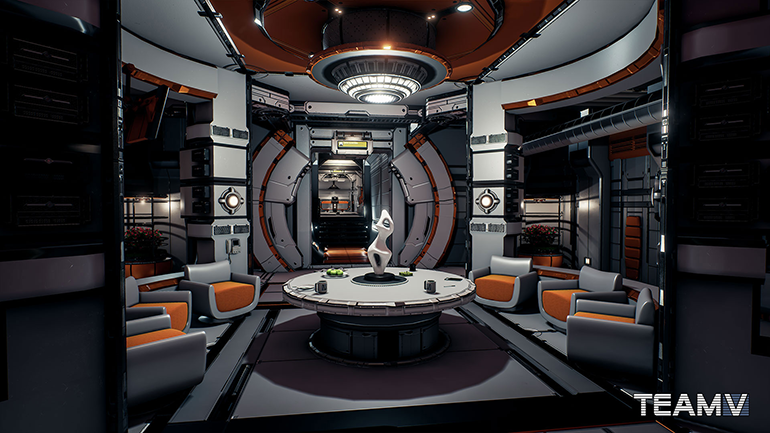 UE4 is also able to produce amazing visuals and at the time it was still subscription based, but I happily signed up anyway and I'm so glad I did. 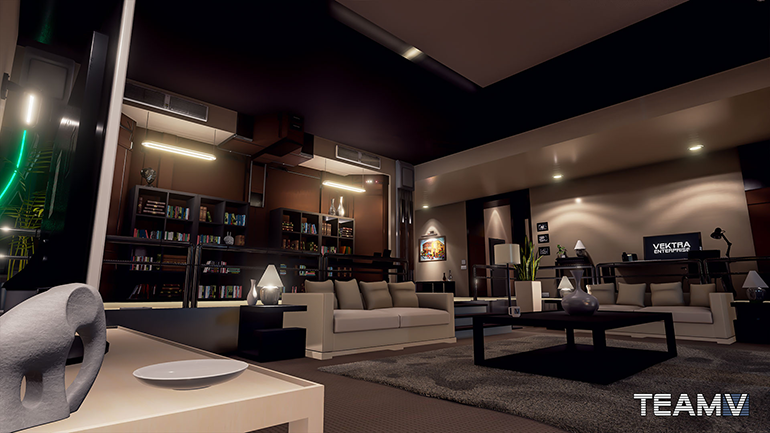 Q: Which aspects of Unreal Engine 4 did you enjoy/appreciate the most throughout the development process? JV: I'll admit that I simply cannot code. I've done it a little bit in the past but my background lies in Level Design. 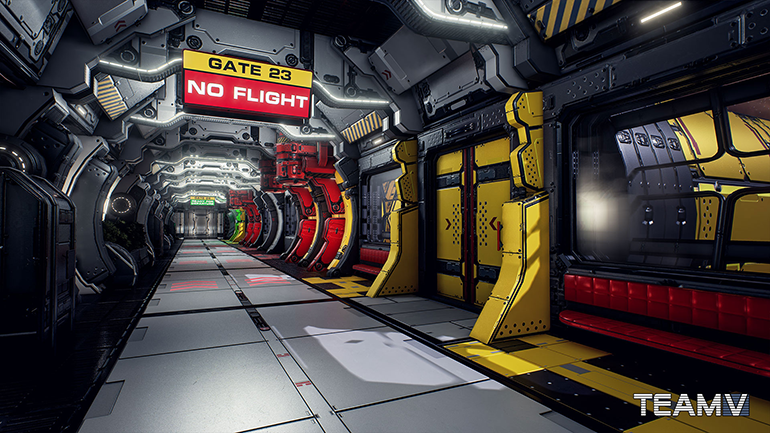 When I started using Unreal Engine 4 I learned about Blueprints and started to follow a few tutorials. When I first started I couldn't understand how to do anything. I did not understand why there were no door entities, or button entities. But once I completed a few tutorials I understood why and I loved it. I could now create my own door, in any way I wanted. I could design what kind of door I needed, what type of door, how fast it took to open, what sound it played. I could set it up so I could very easily replace its base mesh and material. I could offset the angles, rotation. Design the door to start opening depending on certain criteria. That realization alone is what made me appreciate the engine as much as I do and it was the deciding factor for me to create my own game from scratch. Another major aspect about the engine is how accessible and easy the workflow is within it. Prototyping is incredibly fast and because of the documentation from Epic, as well as the community, it's very tough not to find a solution to a problem. Q: Some of the media for the game that you’ve released thus far suggests that you’re not always alone on the ships you are exploring. What types of encounters can players expect throughout Stardrop? JV: I can't delve too much into other characters simply because the main cast of the game is not that big. I made sure that the story was written in a way that the interactions are limited to these characters. There will be some direct encounters in the game but they are sparse (yet meaningful). Besides these limitations I think it's more practical to have conversations play out through radio contact. It creates that feeling that you're not alone, but that there's no one directly with you. I also have to admit that I am a huge Half-Life and Portal fan and I always enjoyed the in-game story telling aspect of these games. While I do have some cut scenes in the game all the important parts will be told while actually playing. I do have androids in STARDROP though. These guys are a lot of fun to avoid and while their encounters are not lethal, they're certainly full of tension. Q: Through Kickstarter and other crowdfunding initiatives, you are involving the community in the development and production of Stardrop. Where is the game currently at in development and how can those interested in supporting the project get involved? JV: The groundwork in general is all laid out and done. All the important gameplay mechanics are in place and are at a stage that they will be merely polished or expanded upon. The main story is fully written with enough room left to improvise. 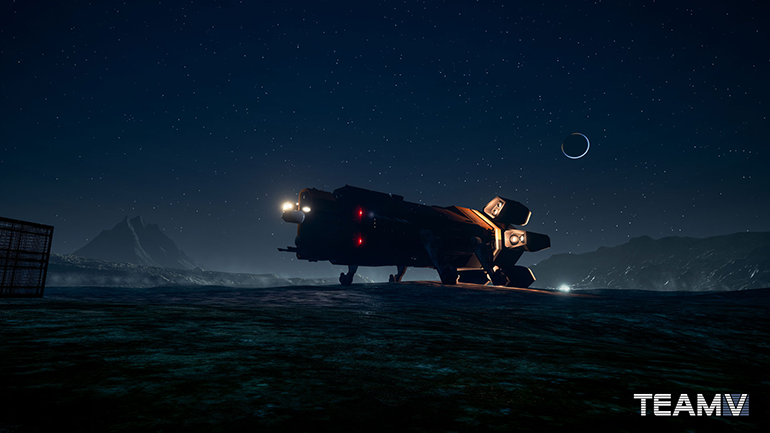 The community is able to directly influence certain parts of the game regarding crew members or general ideas. For instance, I had a few people ask me if I was planning to do something in open space like a spacewalk. While I had something in mind I was able to finally implement a zero gravity feature that simulates drifting around in space. This alone has created a lot more excitement for the game and myself included. I love to hear the community’s ideas and see if I can work with that. One of the aspects regarding the game that the community can be very involved in is the side missions. These are a great ways to further diversify the game, the universe and the types of places players can potentially visit. I am truly excited to see what others can come up with and help them create something they'll love and something I might have not thought about in a million years. The easiest way to do this is simply by interacting with us. We have our own forums and are on Facebook and Twitter as well as on Indie Database. I am around these places often and always keeping an eye out to suggestions and feedback in general. Regarding Kickstarter, the best way to be able to directly influence these aspects is obviously through the rewards. If you choose to help design a crew member we will sit down with that person and make sure that this character is fully realized. From personality to quirks to habits, his or her background, etc. If you choose a reward to design a mission we will go over that with the same kind of detail. Making sure that the proposed mission outline is feasible and executable. We'll provide solutions and other suggestions if needed. Q: Thanks for your time! Can you please tell our community how they can follow the project online and via social media? JV: You are very much welcome. Anyone interested in the project can visit our official website, LIKE us on Facebook and follow us on Twitter.